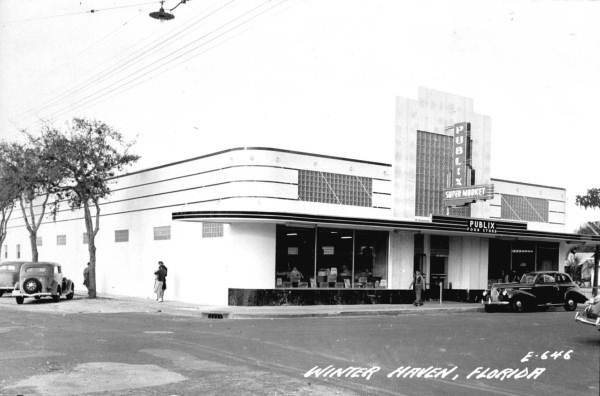 The first Publix Supermarket in Winter Haven, FL. Similar stylings can be seen on the Orlando buildings listed below. Today there are over 1000 Publix locations and dozens within Orlando. 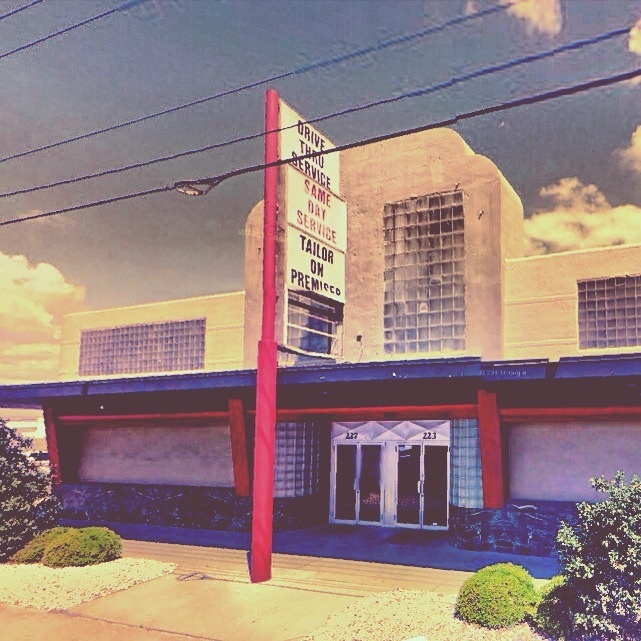 As new locations are added, the old buildings are sometimes left behind. The Publix in College Park has operated on the same site (though the building has been updated) for about 60 years, but most of the old Publix buildings have been torn down or repurposed. Here are three existing buildings that represent vintage Publix supermarkets that now house other Orlando businesses. 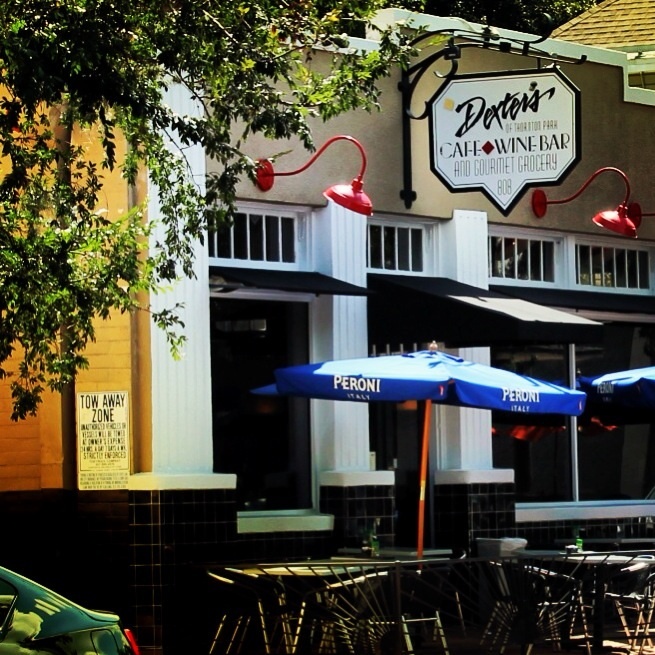 Now a popular brunch spot, this building was constructed in 1936 and the first Publix in the area. Once the site of a large Publix Supermarket, today this Orange Blossom Trail building is a dry cleaner. 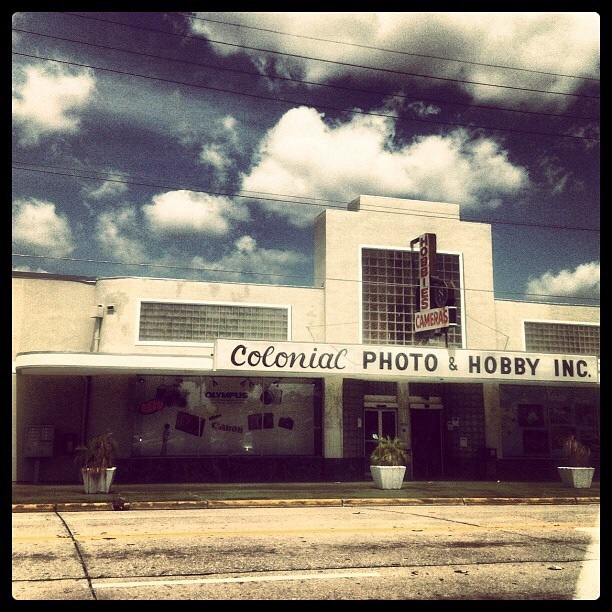 A local icon in itself as a photo and hobby shop in what was once a Publix Supermarket. 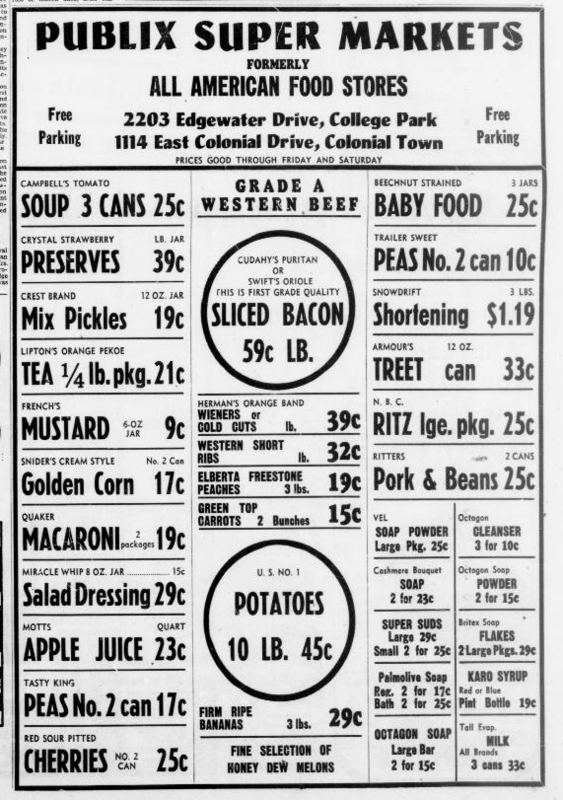 Bacon at 56 cents a pound! You’ve done it again, Steve… love the photos you come up with, and the stories therein!